With the bamboo sticks as an extension of the hands, the therapist can easily palpate, find tension, dissolve knots and trigger points. They are used to knead and stretch muscle and fascia in all directions. The massage can go as light or as deep as necessary. A twelve inch bamboo stick is used for large areas to knead the muscles and also uses a crisscross technique to stretch fascia. The shorter tools are used for small areas and deeper work. The warmth brings relaxation in a shorter time as it quickly penetrates to relax the muscles. Bamboo fusion massage is a new type of massage therapy made popular by Nathalie Cecilia. 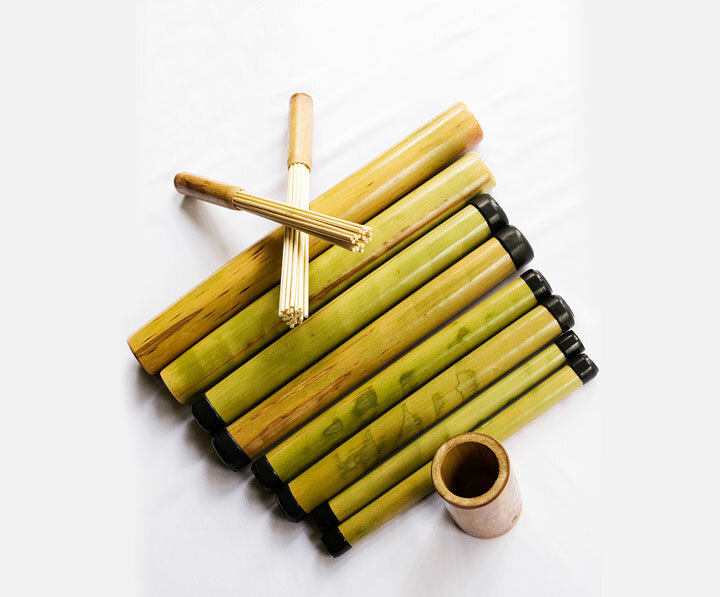 She started using warm bamboo sticks for massage when her hands and wrists became painful with deep tissue work. Using the bamboo tool it gave her more strength and stamina for deeper pressure. The smooth sticks allowed for more penetrating maneuvers and made deep-tissue work easier. Craniosacral Therapy is a gentle system of applying pressure points along the skull and spine that allows the body to return to balance. The client can remain fully dressed. CST is good for (but not limited to) TMJ disorders, sleep disturbances, migraine headaches, spinal issues, and stressful life events.